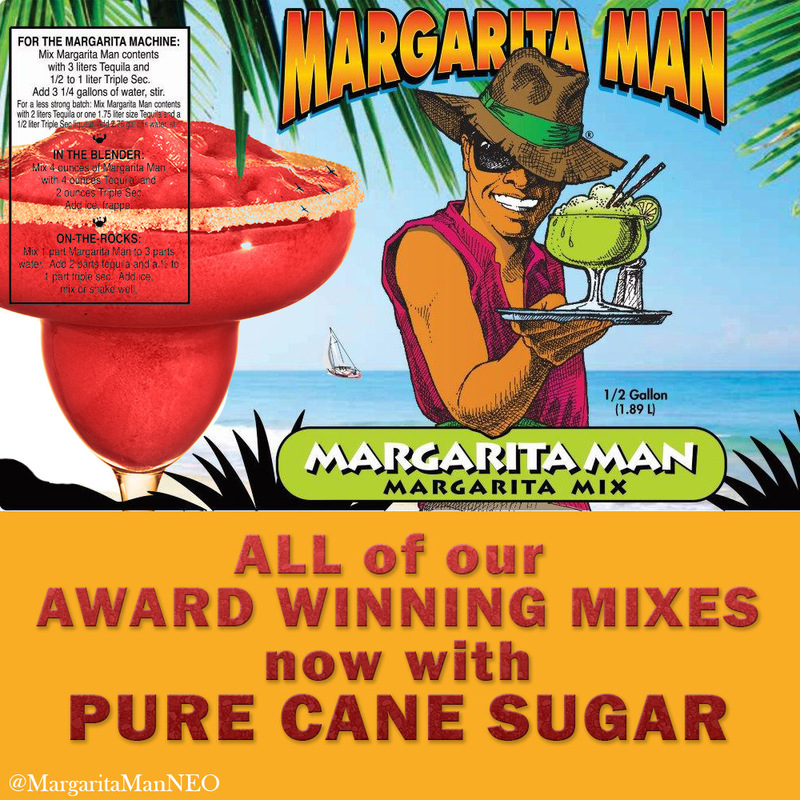 All Margarita Man Mixes now come made with Pure Cane Sugar! We are happy to announce that all of our award-winning Margarita Man margarita mixes are now available in a pure cane sugar base. Now even BETTER tasting! The health effects of HCFS have been the subject of scientific debate over the past decade. In a 2008 edition of the “American Journal of Clinical Nutrition,” health consultant John White argued against the idea that high HCFS consumption promotes obesity. However, in 2010, Princeton researchers reported that the addition of HCFS to a normal diet markedly increased obesity rates in animal studies, while equivalent amounts of sucrose did not. What’s more, they noted that long-term consumption of HCFS increases belly fat and circulating blood fats in ways that mimic the human risk factors for high blood pressure, heart disease, cancer and diabetes.